Today, being connected to the internet became a “need” and not just a “want”. As the mobile phones before that are deemed as accessories of the wealthy people. But how do cellular phones evolve to become a necessity and the best way to communicate while you’re on mobile? Same as internet. On the old days, sending mails require you to wait days to months before receiving a response. Today, by using e-mail, you can send a message for free and get a reply in just a couple of minutes to hours. It only depends when the receiver checked his/her mailbox. It is basically the same classic registered mail without the agony of asking oneself if the mail was received or not. When is the time you find your long lost childhood friend thru facebook? How about sharing your emotions and thoughts in twitter? Or post a lovely photo in Instagram? Do a research about your projects and assignments? Internet made all these possible. There are a lot of greater things internet can do. September 1: Information about 2016 Globe Home Broadband Plans is transferred to a new article: Globe Home Broadband Plans 2016. August 20: New Globe Broadband plans has been released. June 24: Added ETA and availability of Rubicon plans. June 15: Updated throttling speed to 30% of subscribed speed for Rubicon plans. May 31: The hope for better plans to be offered under LTE might be turning into nothing. As confirmed through Globe chat support by me and other readers here, the “Rubicon” plans with higher speeds will be only offered to DSL subscribers. This is a disappointing by Globe as this will not definitely enhance the internet services here in the PH but rather downgrade the so called “LTE (? )” service. Check out the other details under Rubicon plans. May 6: New plan scheme is on it’s way and it is coined as “Rubicon”. This article will be updated accordingly as soon as the new plans are publicly announced. But for now, information about the new plans are stated below. March 10: Additional information on speed throttling of the 2015 plans when monthly limit has been reached and some clarification on billing statements. October 2015: Added info about plan activation and billing statement; GoSurf Plan with Anti-Bill Shock (ABS) listed as an alternative (check the section right after “The Wrongly Future”). August 20, 2016. Globe recently launched their new home broadband plans lineup with bunch of bundle offerings. To avoid confusion from the Rubicon (beta plans), a new article has been made specifically for the 2016 Globe Home Broadband Plans. You may visit it here. Information below pertains to the beta plans. For more accurate information, I recommend you to go to the new 2016 Globe Home Broadband Plans article here. June 24, 2016. Rubicon plans are currently offered to existing subscribers only. This is not yet available for new line applications. ETA for official announcement of the said plans is within this year. May 31, 2016. Please be guided that the update last May 6 is not officially announced by Globe, and just a few days ago, it turns out that only existing loyal subscribers under DSL plan will be getting the Plan 1299 and 1599 under Rubicon. For LTE subscribers like me (or us), only Plan 699 and 999 will be offered. I greatly wonder why Globe will be doing this. 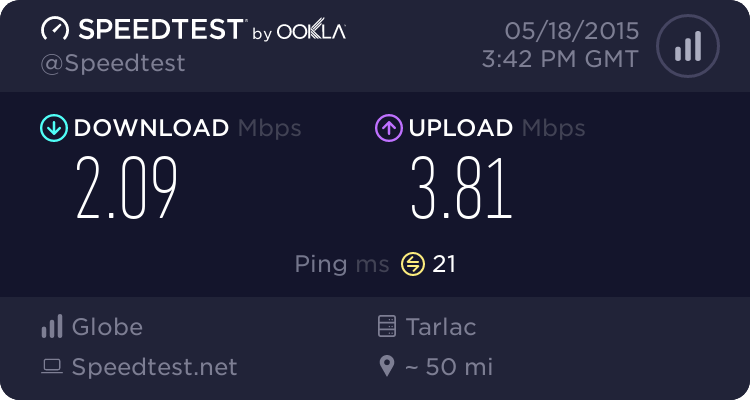 This move will not favor both the consumer and quality of internet service here in the Philippines under the so called “LTE” service that can only offer upto 5mbps under the “new and improved plans”? Hopefully, things will be different once Rubicon or “Right Size” plans will be officially and publicly announced. All we can do now LTE subs, is wait and hope for the better. These new plans are much better compared with the current offerings. But, it should be noted that once you hit the monthly cap, speed will be throttled down to 30% of subscribed speed. For Plan 1299 for example, when you already consumed 100gb, speed will go down to 3mbps. This is still an acceptable speed as you still get the same speed from the old plan. However, there is a catch. Speeds will continue to go down by 30% depending on your usage. The usage here was not yet clear on how many GBs more will it take for the speed to be at 0.9mbps. So roughly speaking, speed will start at 10mbps then 3mbps, 0.9mbps until it reached the minimum of 256kbps as per mandated by NTC. June 15, 2016. As confirmed by several loyal customers who already upgraded to the new plans, the throttling will remain the same at 30% of subscribed speed. So let’s say, for 5mbps plan, speed will go down to 1.5mbps when monthly allocation has been consumed. What do you think about the new plans? Is it worth the upgrade? Please do take note that this is an old article reviewing the 2014 & 2015 Home Broadband Offerings. The article about the 2016 plans is found here: 2016 Globe Home Broadband Plans. However, information below about plan activation and billing statements still hold true to date. First of all, how can you be connected on the world wide web? You can not simply sit somewhere like Juan waiting for a guava to fall on you. It is definitely impossible to get connected that way. You should then avail of the service with an Internet Service Provider (ISP). And that is what this post is all about. 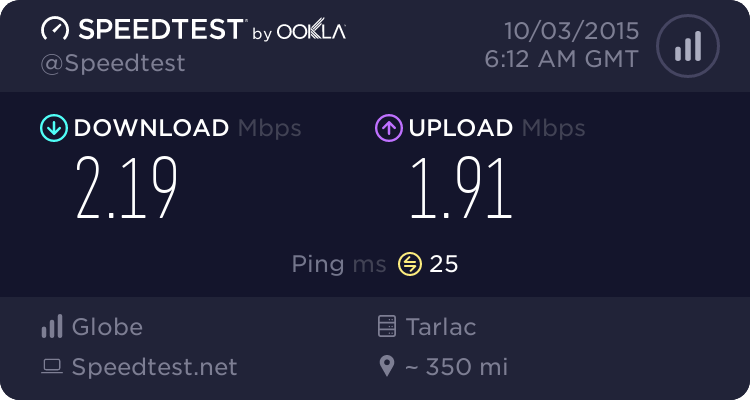 Here in the Philippines, there is only a limited number of ISPs that serve us. Leading the list is PLDT, followed by Smart (but still PLDT. And not to mention Sun Celullar that is again a PLDT subsidiary. ), and Globe Telecom (Innove). They are just the same huge companies empowering hundreds of towers that provide cellular signals throughout the country. Other guys on this list are Sky Broadband, Bayantel, Eastern Telecom, WiTribe and Destiny Cable. Did I miss your ISP? If that’s the case, sorry. You may want it to be added here by commenting below. 🙂 So, with these choices, for whom you are willing to give your precious money by signing up on their service? 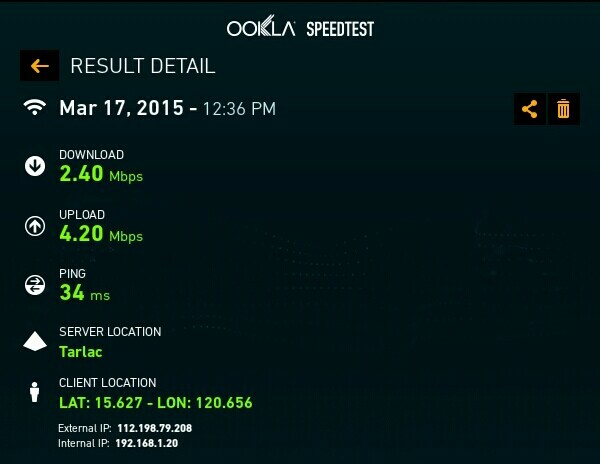 Update: ConvergeICT is a new promising internet service provider that provides real unlimited bandwidth. However, the service is not yet available throughout the country (See Serviceable Areas). ConvergeICT fully relies on pure fiber optic technology. To know more about Converge ICT’s Fiber and Broadband Service, visit ConvergeICT.com. Related Reading: Reference List of PH Mobile Number Prefixes (Globe, Smart, Sun) 2015. 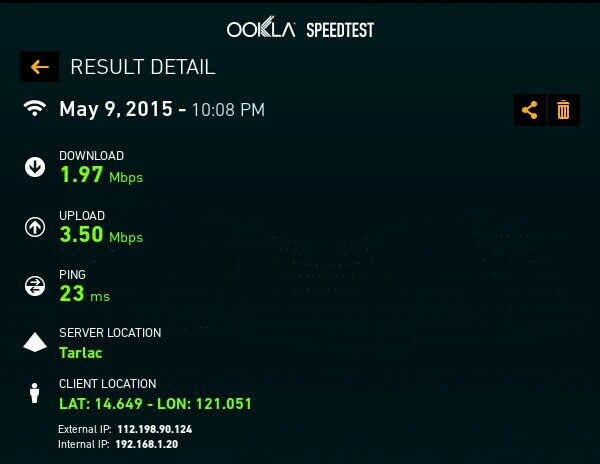 We use Globe LTE Home Broadband here in our residence. Globe Tattoo is the carrying brand of Globe Telecom for their ISP department.This choice is widely influenced by my own decision – because I am the one who was asked then. For me, it is Smart Communications for basic calls and texts but Globe is the way to go for internet connectivity. Why? It is just a personal preference and might be a first impression. 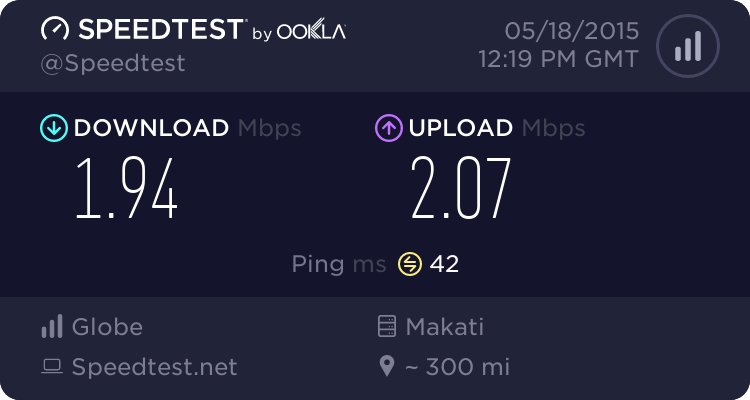 I usually experience fast connections with Globe and slower one when I am with Smart and frequent delayed messages and dropped calls with Globe. Usually, you will get anywhere around 0.5 – 2mbps right after the Globe broadband is installed. In our case, we already experience our subscribed speed of 2 mbps on the first day. However, for higher speed plans, it will take more or less 24 hours for your account to be activated by Globe. It depends on how fast the technician that installed it reported the completion of the job order. You may be advised to monitor your wifi router during this timeframe since it is required to restart it manually when the indicator turns red. It indicates that the activation is ongoing/started. You should get your subscribe speed after the activation. A homephone or wireless landline is supplied with you for bundled plans. It is already connected to the globe network (with signal) but non-functional until it was activated on the system. In our case, the technician said that it will start to function after 2 days or so but I am so disappointed that it took more than 20 days before it was activated. Maybe because the installation was done during the migration from the old plans to the new plans. You will receive a welcome message from Globe via SMS that your postpaid plan is activated. A notification for the activation of the promo named SUPER DUO will be also sent through SMS. If you wish to get the Plan 1099 that we have, you are not going to pay exactly P1099 a month not until the 7th billing. Meaning, your bill will be around P1,600+ for the first three months and about P1,300+ for the next three months (or the 4th to 6th billing). This is due to the fact that you are paying for the P1,200 amortization of the Homephone/Landline (divided into 6 months) and the installment of the P1,000 installation fee (first 3 months). Your 7th bill should be around the MRF (monthly recurring fee) of your chosen plan. The installation fee also serves as the amortization for the modem itself. So basically, the modem is also yours after paying the first three months. Even Globe customer service reps do not know why this is included in the billing statement – or why is it even called with that name. This just means that you are using a bundled plan. Unlicall BB bundle costs P99 but it is waived and does not add up to the total bill. I assume that BB stands for Broadband and not Blackberry. Unlicall bundle costs an additional P99 if you opt for a 12 month lock-in. This is somewhat vague since Globe did not allow us to go for a 12 month lock-in period. We’re forced to accept the bundled unlicall offer on a 24 months contract. Well, my father was also forced to buy a Globe sim card so that we can use this unlimited call feature. Haha. Although you only availed a single plan, the statement of account for the internet connection and the wireless landline is given on two separate billing. Additional charges like fees for text messages and other text/call/internet promos you availed will reflect in the statement for the wireless landline. Entertainment packs like Spotify or HOOQ will be on top of the MRF of the internet connection billing. So far, we are contented with Globe LTE service. Surprisingly, we do not experience slow loading of pages even there are 3 users online and doing active tasks. I even shared the connection with our neighborhood. They are able to connect and enjoy fast* wifi access for free. 🙂 Of course, when we are not using it. The speed is auto distributed and higher priority is for our residence. How is it possible? I am planning to make a tutorial about it. (Tip: Using a Tomato enabled Wifi router). Check the article about Create a Guest Wireless Network in Tomato (Isolated Guest WiFi). I just turn off the guest portal when I sense some signs of sluggishness. Globe recently tied a partnership with HOOQ. HOOQ provides a video streaming service that is “premium” for Globe LTE home broadband subscribers. 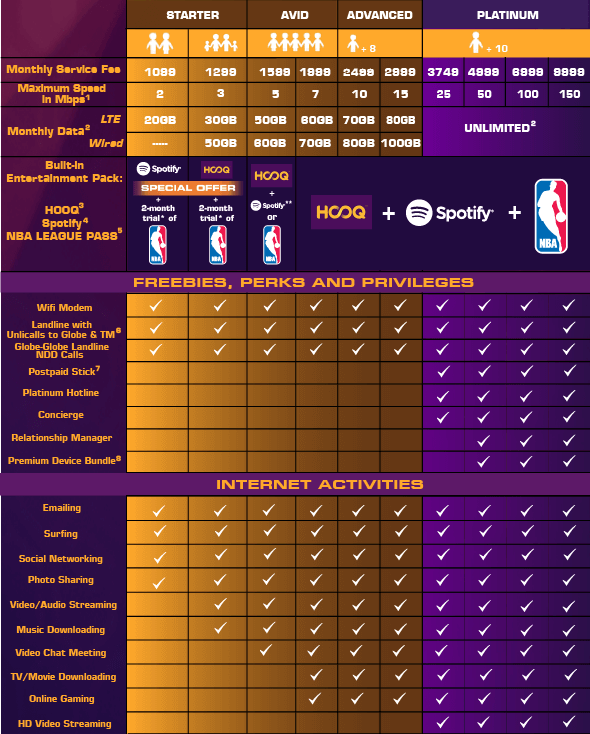 Spotify and NBA League are also services included in the new plans. These two already exist before but they are just options or a choice that time. When Globe first introduced this new scheme, the Plan 1099 is limited to a 10GB transfer per month. That is absurd. I rather go prepaid and have 30GB/month (1GB/day) data allocation. However, Globe slightly responded to the complaints of consumers. They increased the monthly limit of Globe LTE Plan 1099 to 20GB that is well – still – NOT ENOUGH. DSL plans were also modified shortly and a 50GB allocation per month was set for Plan 1299. The Plan 999 was no longer included as a Starter Plan. Plan 999 (LTE only) has been available again for areas that has no bundled landline. 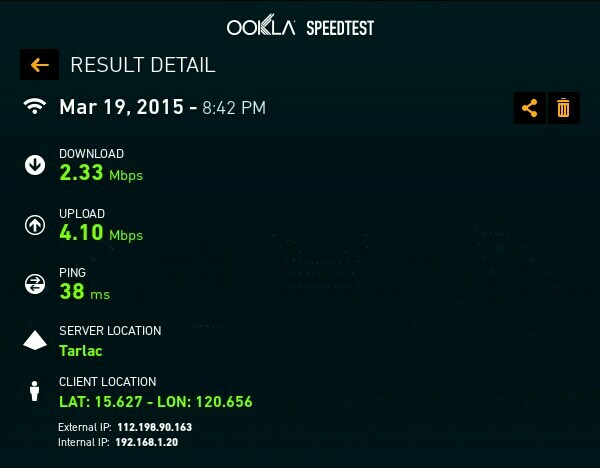 It has a maximum speed of 2mbps with a 20GB bandwidth allocation per month. We are lucky to sign up before these new scheme was announced. 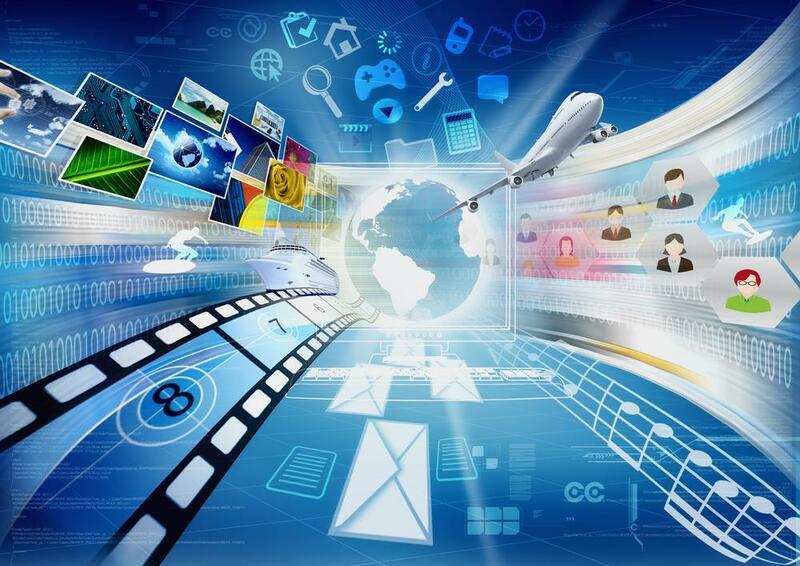 We can still enjoy a maximum of 5GB bandwidth transfer per day. That is about 150GB a month. That is good enough for mid to heavy users at a home setting (2-3). On the old plan scheme, speeds will be lowered to 30% when quota has been reached. On the new Globe LTE Home plans, the quota became monthly and the subscriber should avail boosters or additional GBs (Volume Add-ons) or else they will get disconnected. the speed will go down to an unusable and sluggish 64kbps. See Globe LTE Home Broadband Plans. March 10, 2016: As commented by a subscriber from the new plan, Mr. Jayson Curtiz did not yet experience the 64kbps throttled speed once the limit was reached. Instead, speed will be throttled to 30% of subscribed speed (like the old plan). This is to confirm for others too as he is currently subscribed to a DSL Line. Scenario on a LTE plan might be different. Thanks for the input, Jayson! As confirmed by other subscribers, speed will be throttled down to 30% once you consumed your monthly data allowance. 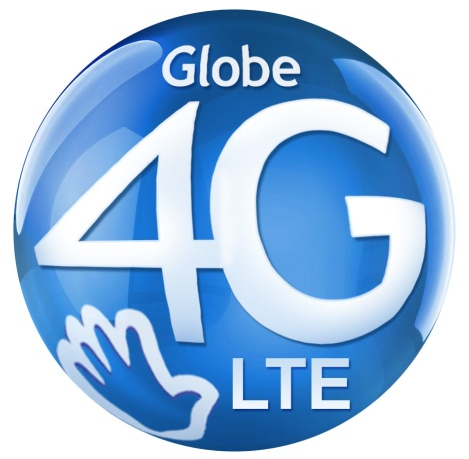 Globe forces subscribers to avail the higher plans to get “unlimited” limited service. Shame on you Globe! Same with Smart as well. These two practices market oligopoly to the extremes. They are consistently saying that the same consumable scheme is implemented on other countries. But hey, they do it only on mobile plans, not on DSL and others. Implementing it on home broadband and DSL is an overkill and shows greediness for more money. I hope another telecommunications company will enter the Philippine market so that services will become better. Not becoming worst. Also, NTC appeared to be neglecting the issue and not doing anything about it. What do we expect anyway? Internet speeds are remarkably slower in Philippines compared to other developing countries but the price is high. But, we should be still thankful that we are not on the extreme sides. For now, I am just hoping that when we renew the contract, better choices of plans for Globe LTE will be available. There is an alternative way to still get unlimited internet/bandwidth from Globe. If you did not signed up yet for home broadband, you may want to get a GoSurf Plan with Anti-Bill Shock. For example, if you are thinking on availing the Plan 1599 from Home Broadband that has a maximum speed of 5mbps and 50GB allocation per month, availing the GoSurf Plan 999 will be a good choice. GoSurf 999 has 5GB per month allocation but with Anti-Bill Shock, you will virtually get unlimited bandwidth. Meaning, if you exceeded the 5GB allocation, you will be charged on a normal rate per MB but the charging will stop when you reached P1,500 because of the Anti-Bill Shock feature. You can use more than 50GB per month but still pay a maximum of P1,500. However, the choice of devices will be different and there may be an additional cost depending on the lock-in period and the device you choose. If you do not tend to use the unlicall “freebie” and want to have more flexibility and portability, GoSurf plan is the way to go. 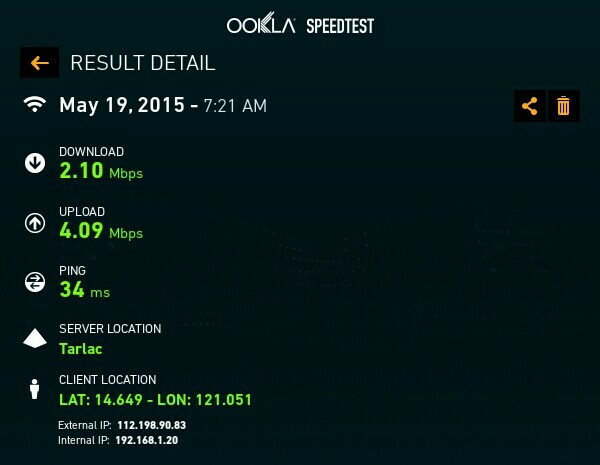 GoSurf has a maximum speed of 12mbps depending on your area. Speed will not be throttled even you exceeded the data allocation. May 21. 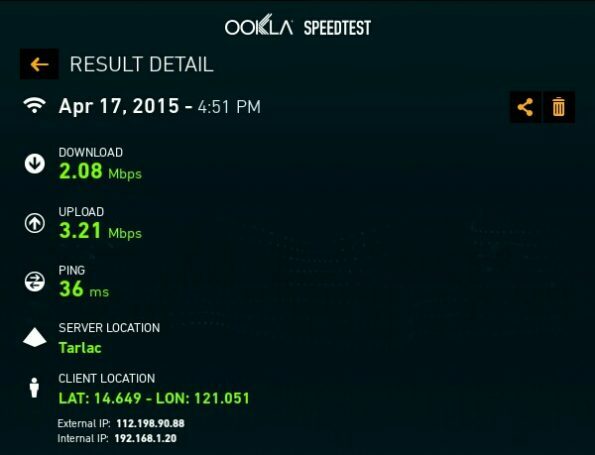 Philippines is currently ranked 176th out of 201 countries in internet speed. As of May 2015, Netindex recorded an average of 3.65 mbps download speed (See: Philippines NetIndex). This figure put the country on 2nd to the last spot in the whole Asia with Afghanistan on the last spot. Yes. The war country Afghanistan. Yet, Philippines is among the most expensive internet connection in the world. This issue should be addressed seriously by the government as we are so left behind with the neighboring countries in terms of internet services. What is your internet service provider? Are you satisfied with their service?